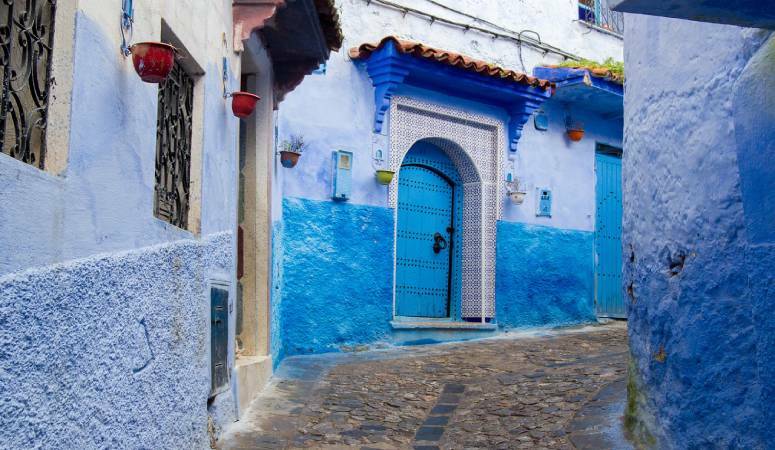 Chefchaouen is a spectacular mountain town known as the “blue” city, situated in the northwest region of Morocco in the Rif Mountains. With its blue-glazed buildings and homes, it presents quite a magnificent site, and the town itself has retained a magical, low-key charm, presenting an ideal opportunity for those who want to get away to a tranquil, peaceful retreat. Both travelers who would prefer to relax and those who enjoy outdoor adventures will find something to satisfy their tastes in Chefchaouen. With the city set between two peaks of the Rif Mountains, many consider it to be one of the most breathtaking in the nation. The Chefchaouen region offers ideal destinations for hikers and campers, with Talasemtane National Park just outside the city. Trekking is one of the best ways to experience the breathtaking landscapes and magnificent views filled with waterfalls and wild rivers. The Rif Mountains offer peaceful camping areas, with the Talasemtane National Park’s hiking trails winding through rocky crags and beautiful forest covered mountains teeming with wildlife and brilliant Moroccan birds. Some of the more popular hikes include a trek that follows the Ras al-Ma River, also known as Hippie River, upstream into the hills providing spectacular views of Chefchaouen. By taking a short two-mile hike up the path, you’ll be treated to the ruins of a mosque built by the Spanish and abandoned in the Rif War. What are those blue shaded buildings? 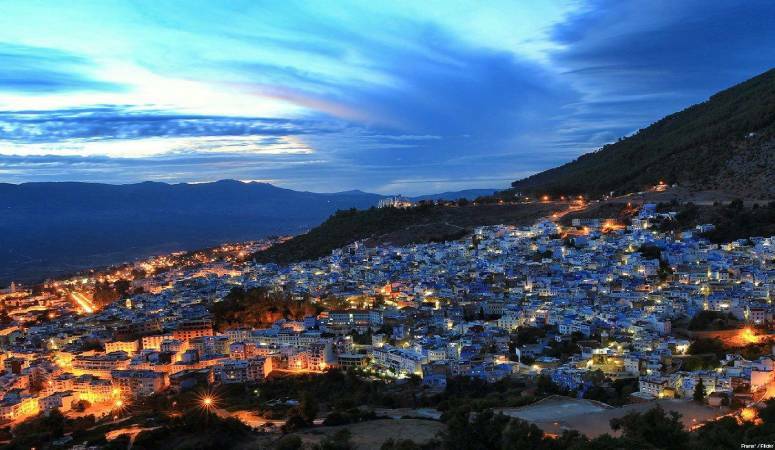 The blue shaded buildings are the result of the tradition that comes from the Chefchaouen’s former Jewish population. The town was a refuge for large concentrations of Moriscos and Jews after the Spanish Reconquista during medieval times. 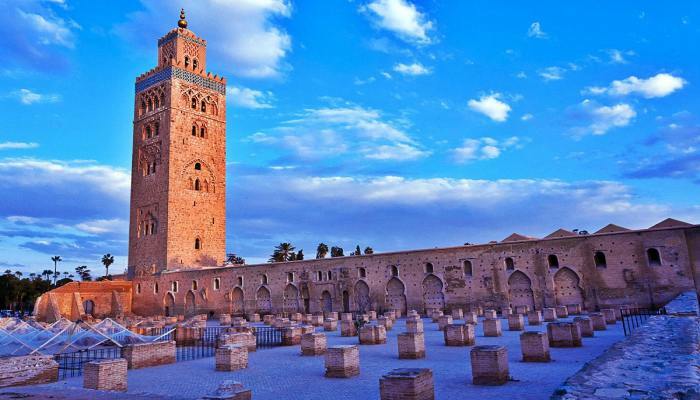 The Medina is the old town section of the city, and one of Morocco’s best for exploring, with fewer crowds and a more relaxed feel. 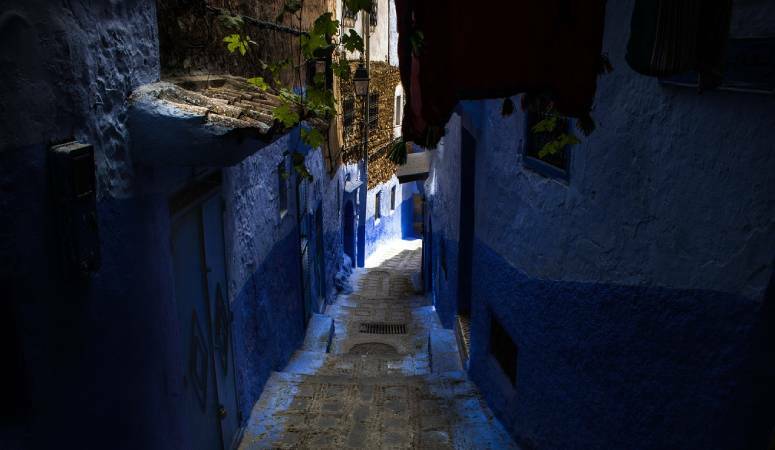 The side streets are drenched in a brilliant shade of blue, giving Chefchaouen a more Mediterranean charm, and the narrow, winding lanes are like taking a step back in time. The square is in the heart of the Medina, and lined with cafes and restaurants offering delicious traditional dishes and an ideal spot for people watching. 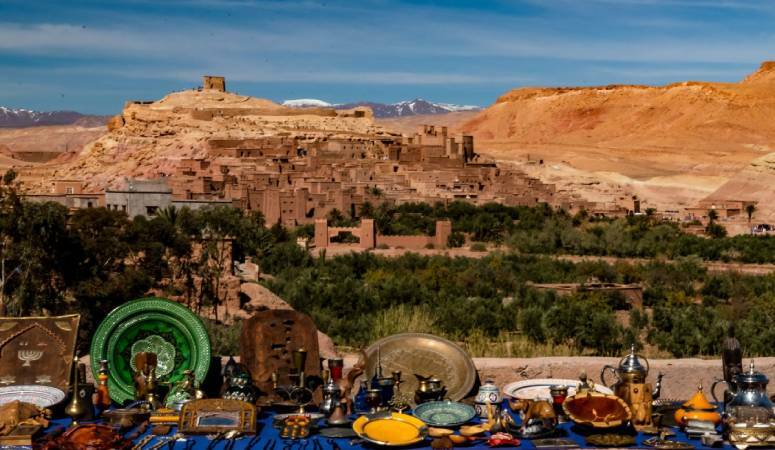 The 17th-century Kasbah includes a museum with traditional Berber garments and photos of the town during the Rif War. A steep walk up the steps to the tower provides an amazing view of the city where you can take in everything that Chefchaouen has to offer. See Ras Ma (manbaa) (cape water). Visit the old town center (a number of cafe and resaurants located there).